Tribal elder, traditionalist and spiritual leader, Mr Proctor is called upon by many peoples and tribes throughout the Southeast for advice and help on a variety of spiritual matters, points of culture, tradition and lifeways. As a Culture Bearer and a descendant of Opethleyahola (one of the great Creek leaders), he has a mission to help educate as many people as he can to further the ways of his ancestors for future generations. 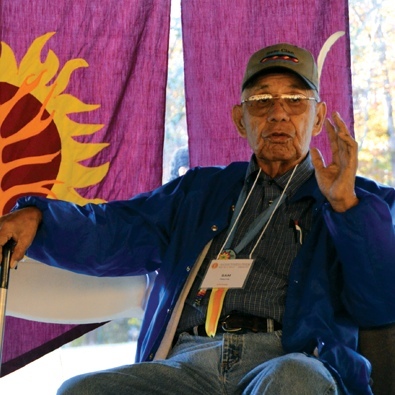 He is a tireless advocate of keeping the language, culture and traditions of the Muscogee People alive. His ancestors lived life to the fullest by being one with the environment, and the ancestral spirits are alive and strong in the homeland of the Muscogee People. He relishes moments to come to his homeland to commune with the ancestors and educate others about this rich and vibrant culture.